We build a foundation for the future through a collaborative architectural master planning approach. 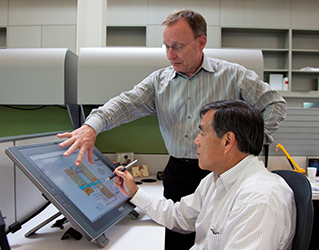 Master planning is a collaborative process among architects, planners, and the client. Holistic in nature and comprehensive in scope, a master plan is your best-laid plan for the future. One that ensures a long-range vision, rather than a quick “band-aid” solution to immediate problems. As a dynamic tool that guides decision-making, the plan must be flexible to accommodate your changing needs, while maintaining consistency with your goals and standards. At Kirksey, we believe that maintenance of the master plan is the key to its success. It must be a useful working document, rather than a collection of pretty pictures and rote solutions. But, at the same time, it must be flexible to the dynamics of business. We work closely with clients to develop a master plan that is right for their needs, while respecting the integrity of the campus and the surrounding environment. Whether developing a master plan for a university campus, church campus or even a corporate headquarters, the process remains the same. Our expertise in master planning involves the client from the very beginning to establish the parameters in the form of a program. Creative solutions are then developed and alternative solutions are prepared for review and approval. Every master planning project in our portfolio follows the same proven process, but customized to each project and client. We are here to collaborate with you on master plans that fulfill your requirements, goals, and standards, both now, and in the future. Using a collaborative approach, Kirksey provides master planning services for university campuses, church campuses, and corporate headquarters.